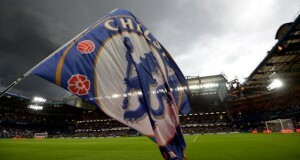 Players at a top club such as Chelsea should always perform to the best of their ability. If they don’t, it is inevitable that they will soon be benched and put in fans’ black books. 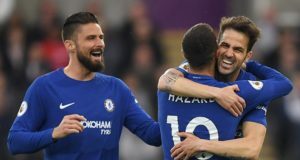 However, there are some players at Chelsea that fans cannot seem to grow fond of, even though these players are giving their best for the club. This has always been the case with the Blues. One such example from the recent past is John Obi Mikel. The quiet Nigerian was doing his job perfectly adequately, but fans never seemed to quite like him. Even when the Blues were huge underdogs in that legendary Munich final in 2012 and bookmakers such as NoviBet gave them little to no chance to triumph, Mikel’s heroic performance which led them to victory went largely unnoticed. Willian is one of the most coveted attacking midfielders in the world today. Barcelona did everything they could to sign him from Chelsea, but the Blues weren’t willing to let him go. This is because Willian has been crucial to every Chelsea manager he has played under. In fact, he is one of the rare players that a grump such as Jose Mourinho fell in love with. However, Chelsea fans will never warm to Willian. For one reason or another Blues’ fans just don’t like the talented Brazilian. Many people say that it is his negative demeanour on the pitch, while others claim that he just doesn’t try hard enough. Whatever the reason, Stamford Bridge regulars just don’t appreciate Willian’s work rate, even though he was the only player that actually played well for a period under Mourinho in his second spell at the club. Alonso has been a fan favourite during Conte’s spell, but as of late his poor performances have put him in fans’ black books. The Spanish wing back used to pitch in with a lot of goals with his runs behind opposition defences, but those goals have recently dried out. This was enough of a reason for fans to turn on the attack minded left back, who suddenly stopped contributing in the attacking phase. The Spaniard is one of the poorest crossers in the division and has never been famous for his defensive game, so when he stopped scoring fans started questioning his inclusion in the team. 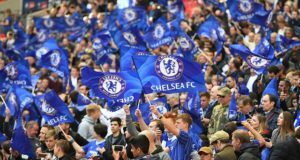 This discontent in the stands strengthened especially because Sarri is known as a manager who doesn’t rotate his squad and Alonso stayed in it despite not playing well and despite Chelsea having the perfectly capable Emerson Palmieri on the bench. Chelsea fans don’t hate Pedro. However, Chelsea fans don’t rate Pedro very highly as well. The Spanish winger often tries harder than his team mates in most matches, but somehow his work goes unnoticed. This might be down to the fact that the Spaniard doesn’t want to impose himself and restricts his role in the match to mostly doing the so called dirty work, something which is not too common for a winger.